Training | Attachment | Child Therapy Solution | Leicestershire : Children's Therapy Solutions Ltd.
Therapists and Professionals who have completed SAI Level 1 training (SAI Level 1 for Therapists; or Sensory Processing Trauma and Attachment) and who have attended the DMM Attachment & Psychopathology course or have demonstrated DMM reading and knowledge. What each of the patterns of attachment means for the individual in terms of information processing, examined through filmed examples of a range of strategies. 2. 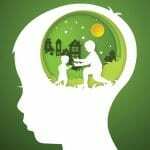 Explore the opportunities and implications of working therapeutically with children when there is a focus on tailoring interventions according to the attachment functioning of the child. 3. Examine differing approaches towards children using a Type A strategy versus a Type C strategy, given the different ways internal and external information is processed within the different strategies. Helen has been a qualified social worker since 1999. She is committed to using evidenced based and innovative ways of helping children and parents in both birth and adoptive families and in providing support and training to professionals. Helen is particularly interested in the potential of the Dynamic Maturational Model of Attachment and Adaptation to bring understanding to the behaviour of individuals; relationship dynamics and family functioning, so that this, in turn, can inform effective interventions. She is a certified coder for Child Attachment Interview, Story Stem Profile Assessment, and the Adult Attachment Interview (DMM).